21st Century Dental is the first practice in the area to offer the Six Month Smiles technique, designed specifically for adults and older teenagers who have crooked, crowded, or spaced teeth without major bite issues. Why Choose 21st Century Dental for Six Month Smiles? Unlike the traditional braces people must wear for two to four years, this procedure straightens teeth in an average of just six months and uses low force to move teeth more comfortably. 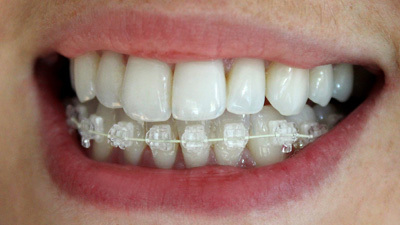 Six-month braces employ clear braces and tooth-colored, nickel-titanium wires, making them virtually invisible.